Our law firm is now home to five experienced attorneys who proudly serve clients from our two office locations in Louisville and Lexington. All of our lawyers are committed to protecting both the personal and the business interests of our clients, regardless of their legal needs. 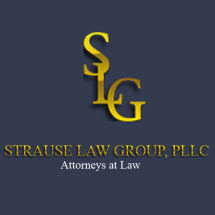 Whether you are a business owner or company leader who needs legal representation for a commercial dispute, a licensed professional who needs a strong defense against a civil suit or an individual who is a victim of fraud, the attorneys at Strause Law Group, PLLC, have the experience you need on your side. You can learn more about why the people who live and work in Kentucky turn to our law firm for all of their legal needs during an initial consultation.